What you eat can play a major role in how you feel when it comes to health. This is no exception when it comes to headaches. Food has the ability to not only trigger migraine headaches, but there are also some foods that have the ability to treat them. What you eat not only affects your overall health but also how your body feels and functions throughout the day. It is crucial to understand what it means to maintain a healthy migraine diet and prevent other health issues in the future. There are many foods and beverages such as coffee and chocolate that you may consume multiple times a day. These foods are not good for you in large qualities and also have the ability to trigger your migraine headaches. Even though you may not realize it, eliminating or cutting back on these problem foods will not only help you with your migraine headache pain but also make you feel healthier overall. Here are some of the foods that trigger migraines, as well as some of the foods that can help you eliminate your migraines all together. Many individuals may not want to admit it, but there are foods and beverages that you could cut back on that would significantly impact your overall headache. You may also wonder why you get migraines so consistently and what you can do to stop this from happening. There are a number of foods that have the ability to trigger migraine pain and make them more consistent throughout your life. Keep reading to discover more about these trigger foods and what it is about them that causes you more migraine pain. Numerous studies have shown that alcohol has the ability to trigger migraine pain primarily in individuals who have a history of migraines. If you suffer from severe migraines, even a few drinks of alcohol has the ability to trigger an intense migraine headache. Some studies have also shown that red wine has the ability to trigger migraines more than any other type of alcohol. If you have a history of migraines, it may be wise not to drink alcohol at all. It is one of the top triggers that leads to migraine pain and most people who suffer regularly, do not think it is worth it to even take that one drink. Caffeine is a unique trigger as it has the ability to both help and hinder individuals who suffer from migraines. It has the ability to help the body absorb pain medication that is used to relieve a migraine headache. But it must be consumed in moderation as too much caffeine can lead to a more severe headache. Limiting your daily consumption of alcohol to about an 8 ounce cup of coffee or one can of soda, is enough to help relieve headache pain and not make it worse. People who drink caffeine more frequently are prone to more migraine headaches and experience the negative effects that caffeine can have on their headache pain. While many people (women especially), blame chocolate on their migraine headaches, studies have shown that it does not play as big of a role as once thought. While there is some caffeine in chocolate, it is not enough to trigger a migraine headache. In fact, most studies have shown that a small amount of chocolate can actually help your migraine headache and not make it worse. Chocolate is more effective when used for tension headaches as opposed to migraines, it is still not considered a trigger or a solution to the problem. Foods with higher levels of tannins, as well as tyramine have the ability to set off a migraine. These are the two most natural occurring compounds found in food. Studies have shown that there are some individuals who are affected by this trigger while many others are not. Tyramine is typically found in foods such as: beer, red wine, avocados, pork, processed meats, aged cheeses, and ripe bananas. Tannins are found in mostly beverages such as coffee, apple juice, and tea. Artificial sweeteners and foods that contain unnecessary additives can sometimes blamed when consumed in abundance in your migraine diet. Experts still are not quite sure as to what it is about these two that causes migraines. Many believe that it is simply speculation and is not a trigger that is based on actual studies and facts. While there are several food triggers associated with migraine headaches, there are just as many, if not more, foods for migraines that can actually prevent them from occurring. Eating healthier has a number of impacts on your overall health but the fact that it can also help migraine sufferers attests to how powerful food is on your life. Here are some of the foods that should be included in your migraine diet plan and eaten regularly to prevent migraines from occurring. Many headaches, including migraines, are caused by dehydration. If you wake up with a headache, a great way to rehydrate yourself is to have a salad. Lettuce contains a lot of water and fiber which are both great for your body and can put an end to that pesky headache. Iceberg lettuce is the best option but spinach is also a great ingredient to have in your salad as it also has the ability to hydrate you and relieve headache symptoms. As previously mentioned, coffee has the ability to both trigger and help with migraine headache pain. Much of it depends on how much coffee or caffeine is actually consumed. When consumed in large amounts, coffee actually has a negative impact on your health, as well as increases your risk for migraines. When it is consumed in small amounts, it has the ability to reduce the amount of histamine in your blood which will keep your head from pounding. When you have a headache that simply will not go away, bananas are a great food to eat to relieve that headache. Bananas contain an excessive amount of magnesium which has the ability to moderate head pain. They also contain a lot of potassium which can keep your electrolytes in balance. Bananas are best for mild to moderate migraine headaches yet nothing too severe. Eating whole grain bread has been known to relieve headache or migraine pain. Studies have shown that the whole grain in this type of bread has the ability to not only relieve migraine pain but also help individuals who suffer from severe and chronic migraines as well. There are number of vitamins and supplements that can be used for the treatment of migraines. Supplements such as magnesium are taken to help relieve migraine headache pain. There are also vitamins such as vitamin B12 that have the ability to do so as well. Here are some reasons why those vitamins and supplements, as well as many others, are beneficial in helping to relieve migraine headache pain. Taking a high dose of vitamin B12 (otherwise known as riboflavin), has the ability to reduce severe migraine headache attacks. Taking about 400mg a day of riboflavin reduces the number of these painful attacks, as well as relieve the pain if one does happen to occur. It also has the ability to reduce the duration of the headache providing you with relief much faster. If you lower the dosage, it does not have quite the impact on migraines. In fact, when lowered to 200mg, it had little to no effect on migraines. If you suffer from a magnesium deficiency, this may be one of the causes to your frequent migraine headaches. Studies have shown that many individuals when suffering a migraine have a much lower level of magnesium in their body than when they were not experiencing a migraine. Magnesium can be used as a way to control the level of migraine pain but has not been proven to eliminate their occurrence completely. It has been proven that what you eat plays a huge role on how you feel. When it comes to your migraine headaches, you could be eating the wrong types of foods that could be triggering more pain than necessary. Changing what you eat, as well as creating a diet plan to help you treat and prevent migraines, is a great way to get you on the road to better health. You should always consult your doctor before adding any vitamins or supplements to your everyday regimen. 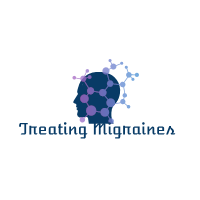 It is important to not take too much of something as it could have a negative impact on your migraines as opposed to a positive one. A healthy diet has the ability to change your overall health, as well as your migraine pain. Eliminating the trigger foods from your diet and adding the rewarding ones can truly make a difference in how you feel every single day. Does Acupuncture For Migraines Work As A Treatment?